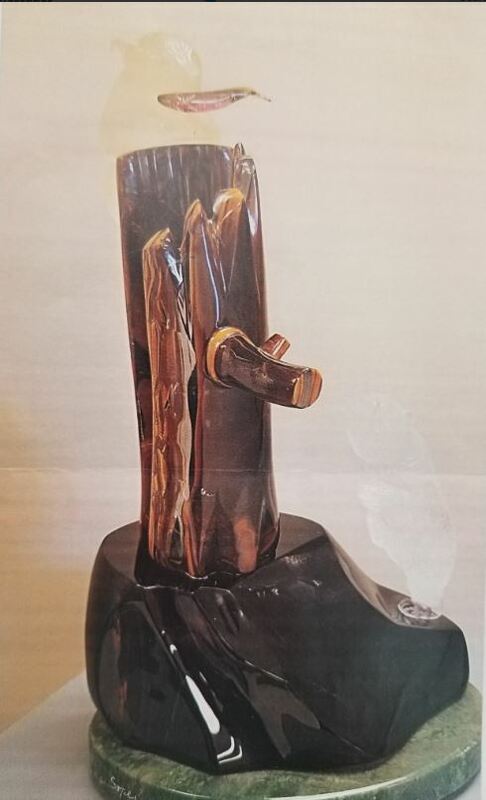 Sidney/ North Saanich RCMP are investigating a theft of a sculpture valued between $20-$40,000. It was stolen from the Mary Winspear Centre on August 3rd from the “Sidney Sculpture by the Sea” display. The sculpture features quartz crystal bears, a tree made from tiger-eye, a quartz fish, and sits on a base of BC Jade. Its dimensions are 14” tall, 8” wide, 8” deep and weighs 25 pounds.